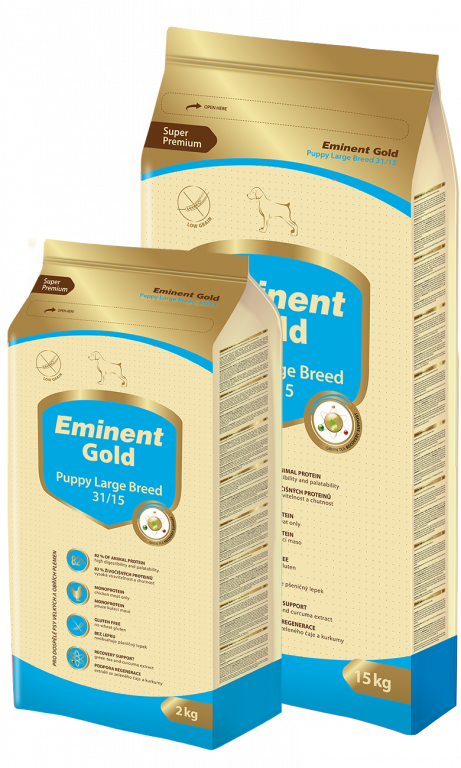 The speed at which large and giant breed puppies grow is highly demanding in terms of quality nutrition. Our balanced combination of chondroitin, glucosamine, MSM, organic forms of manganese and minerals provides complete and optimal nutrition and ensures the proper development of the musculoskeletal system. The balance of proteins and energy, in the form of high quality chicken, poultry and coconut oil, ensures the proper growth of muscle mass and helps prevent developmental disorders. 370 g of poultry meal in 1 kg of food corresponds to 1 400 g of raw meat. Ingredients: dehydrated chicken meat (37 %), rice, maize, poultry fat, peas, hydrolyzed poultry liver, amaranth, buckwheat, apples, flaxseed, fish oil, coconut oil, milk thistle seeds, chia seeds, MOS (mannanoligosaccharides), FOS (fructooligosaccharides), beta-glucans, green tea extract, curcuma extract, glucosamine, MSM (methylsulfonylmethane), chondroitin sulfate, rosemary extract, additives (vitamins, trace elements, amino acids).